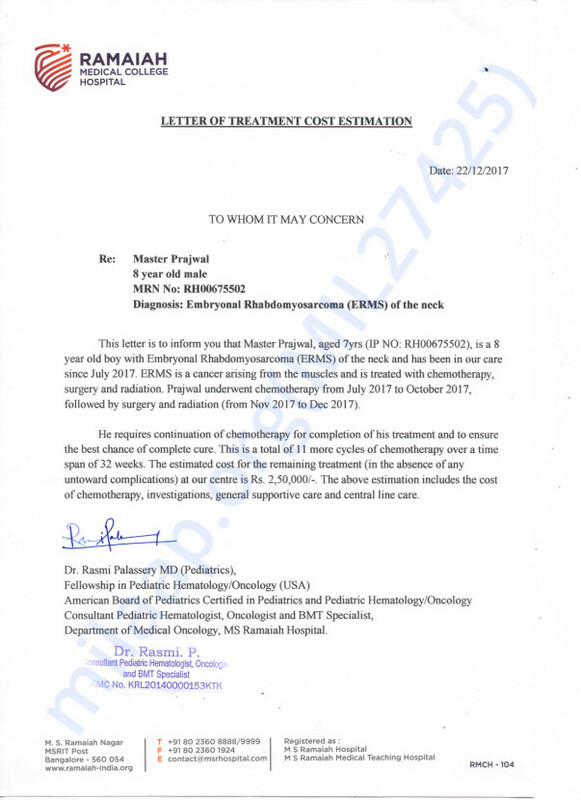 For the last 6 months, 8-year-old Prajwal, son of Lakshmi, has been suffering from a severe form of cancer called Embryonal rhabdomyosarcoma. It is a a rare histological form of cancer of connective tissue. 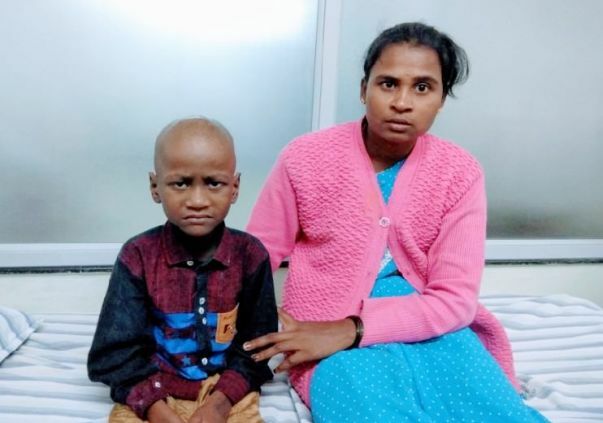 Prajwal has been undergoing chemotherapy and has even gone through a surgery but despite this the little boy still requires another 4 months of chemotherapy in order to recover. He is slowly recuperating now but needs 11 more cycles of chemotherapy over the next 6 months for a chance at a full recovery. “I can’t leave him alone for even a minute because he starts crying. He needs constant care and attention. He’s in so much pain all the time and he gets anxious if I’m not around. He used to be so active. 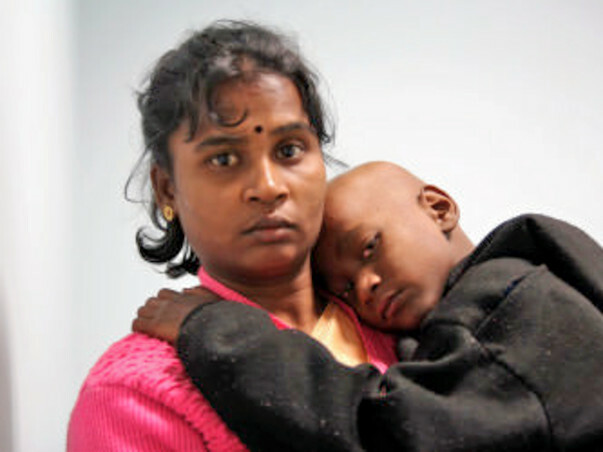 Cancer has taken away everything from him," says Lakshmi, Prajwal's mother. His mother who is his only caretaker after she lost her husband, does not have the funds to save her son and needs our help. Prajwal was only 9-months-old when his father passed away. 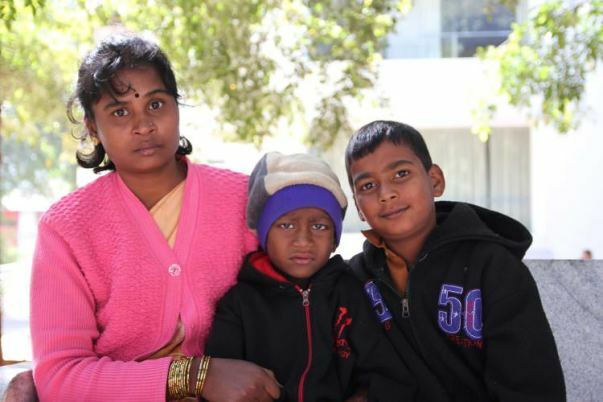 Since then, Lakshmi has single-handedly taken care of Prajwal and his older brother (9). Lakshmi works as a construction worker in their hometown of Bhadravati, Karnataka, to help support her family. 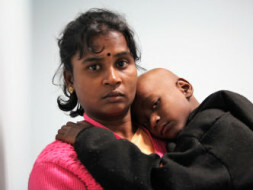 Your contribution can give this young boy the treatment he deserves. Thank you for the wonderful support that you have shown towards Prajwal. He was undergoing the treatment and had successfully undergone the chemotherapy. His response to the treatment had been positive. After the first cycle of chemotherapy he had been discharged from the hospital. The family never received calls after they had been discharged. Our team has been trying to reach them but have been unable to get through. The funds raised have not been utilised towards his treatment. 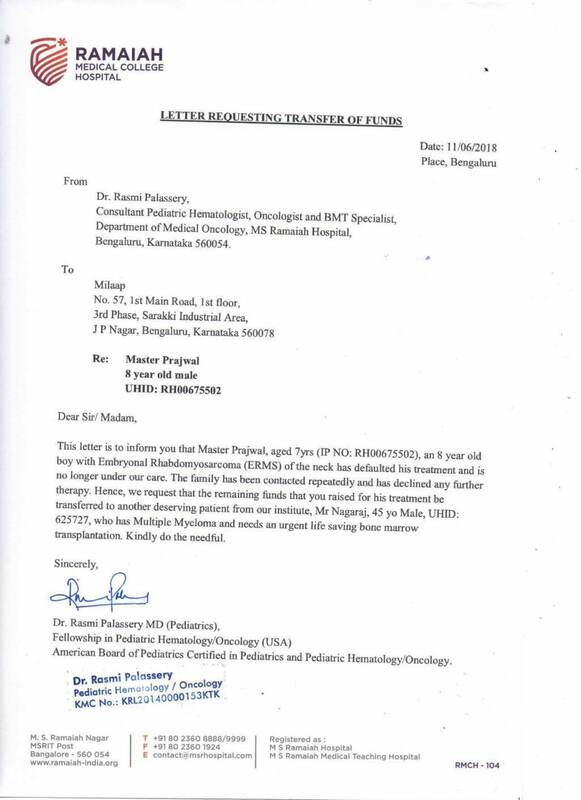 Upon discussion with the other doctors we recomend to transfer the funds raised via this campaign towards Nagraj's treatment, he has Multiple Myeloma, cancer of the white blood cells. It damages the bones, blood, immune system and kidneys. It had already gotten to a terrible stage. We do understand that some of you might want a refund, in that case do reply to this email by 21st June and we will be happy to initiate the same.